For the second consecutive year, Foot Levelers is a sponsor of the Virginia Amateur Sports Commonwealth Games, which are being held July 17 to 19 throughout the Commonwealth of Virginia. 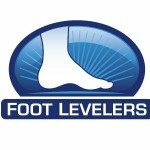 Foot Levelers is proudly serving as a sponsor of the Games as a whole, and also as the primary sponsor of the fast-pitch softball and All-Star baseball events. With over 10,000 athletes expected to participate in over 55 events, the Virginia Commonwealth Games offer Foot Levelers an opportunity to convey the benefits of chiropractic care to a large, active audience. One of the largest events of its kind in the United States, the Virginia Commonwealth Games aim at “inspiring wellness and competition” by involving participants of all skill levels and age ranges. During the opening ceremonies on July 17 in Salem, Virginia, Foot Levelers has the chance to reach a large portion of the 10,000 participants to educate them on the benefits of conservative care, such as chiropractic treatment. In addition to exhibiting its line of functional orthotics and custom orthotic flip-flops, Foot Levelers is also offering a list of chiropractic professionals throughout Virginia that participants can contact for their healthcare needs. This marks the 26th year Virginia Amateur Sports, a 501(c)(3) non-profit, has organized the Commonwealth Games. This year sports vary from basketball to pickleball, and swimming to ultimate Frisbee. This year’s special guest speaker is Dot Richardson, a two-time Olympic Gold Medalist softball player. For more information on the 2015 Virginia Commonwealth Games, visit CommonwealthGames.org.